Marshall sent me a couple of photos he’d taken this week of his kitties. 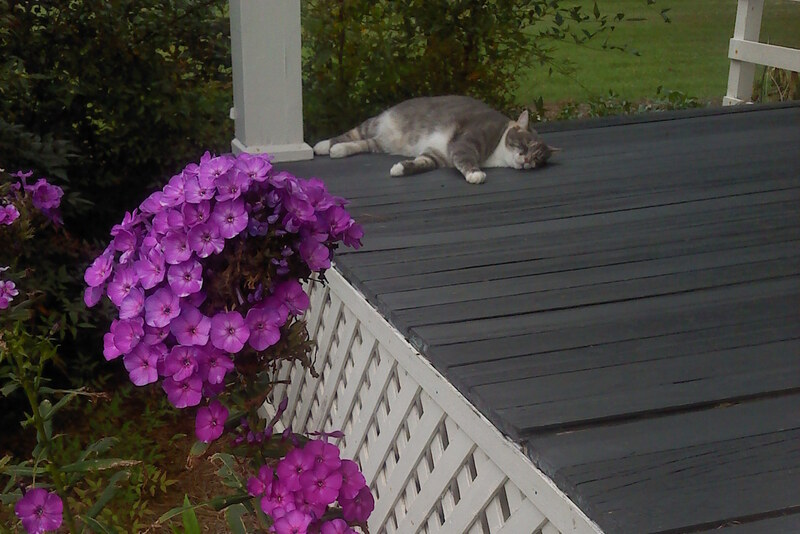 In the first one, Chessie seems dwarfed by the “huge” phlox bloom. 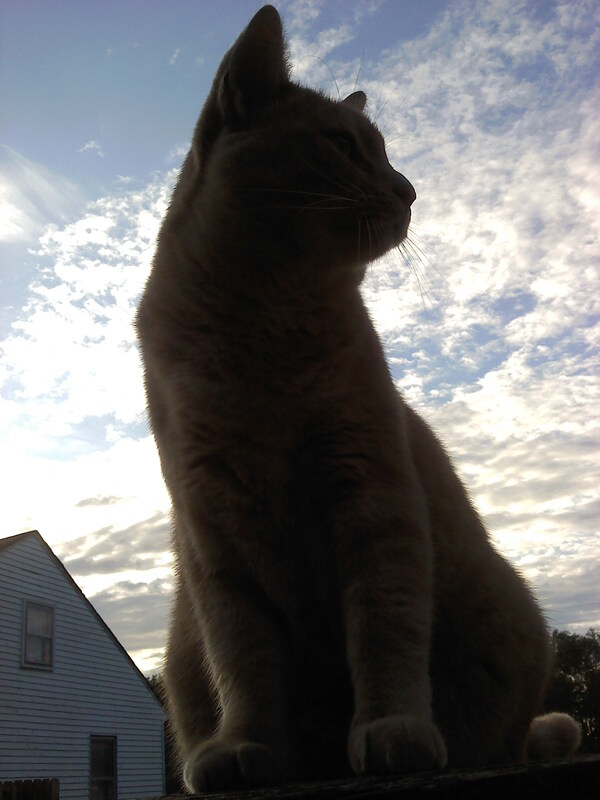 And, in the second picture, Snugg “towers” above the neighbor’s house. I think Marshall has quite an eye for clever photos, and no, I’m not prejudiced….not in the least. This entry was posted in Family and tagged cats, phlox, photo perspectives. Bookmark the permalink. Marshall takes after his Mom in the “splendid photography” department! Great photos of the cats………. The colorful Phlox and the gray and white of Chessie are a great contrast! And, yes, Marshall has a great eye for an unusual perspective! You don’t have to be prejudiced to see that these are great shots. Now why can’t I ever be that observant? Love the one with Snugg towering over the house. Great shot! Marshall is blessed to have a mother who sees his perspective and thoroughly gets it. Very clever and interesting photos. Thanks again for featuring them, and thanks for the comments! I’m always on the lookout for shots like this – & sometimes it seems like they know it ! I see the ‘photography genes’ definitely got passed to Marshall! These are so clever! Good job, Marshall! That second one is amazing! Great shots, Marshall! I think it runs in the family. Fun! I like Marshall’s perspective.